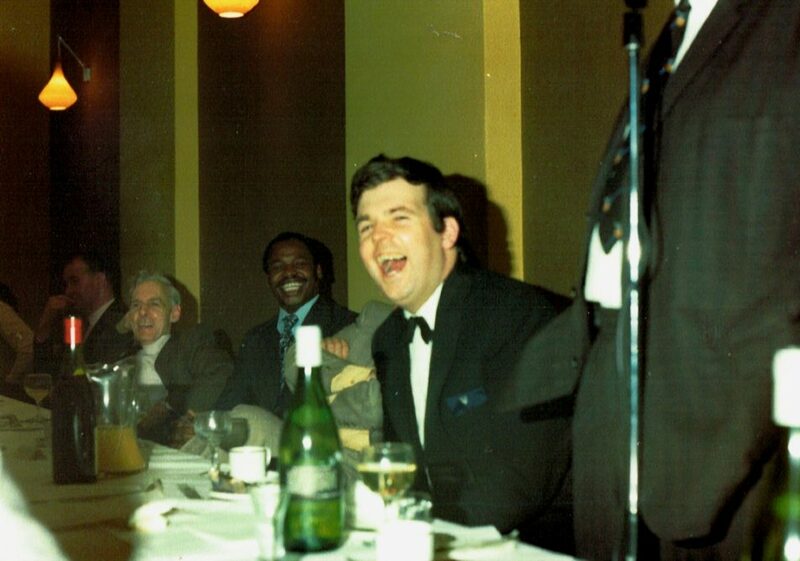 I first saw Cranfield on my 21st birthday – 8th March 1974. I had been called to an interview for a place with my Professor S. Probert (Doug) in the School of Mechanical Engineering. I dare not turn the opportunity down. Perhaps it was a test? The staff were shocked that I had turned up on such an auspicious occasion and arranged for the interview to be brought forward so that I could return home for my birthday celebrations. And those early signs of kindness proved true – Professor Doug Probert was the best mentor that anyone could ask for and he was a great help to me during my five years at Cranfield. As a first year student my home was at Mitchell Hall – then considered the quieter end of town! It was far enough away from the ‘dark arts’ practiced at Lanchester Hall! Cranfield had students from all corners of the world. The first meal I had there was with a group of Indian students. They were busily eating what appeared to me to be red French beans. We sat together and they offered me one which I ravenously snacked on. It was my first experience of a hot chilli – never to be forgotten! In those days first year students had to do a night as bar man at the infamous Student Bar in Lanchester Hall. 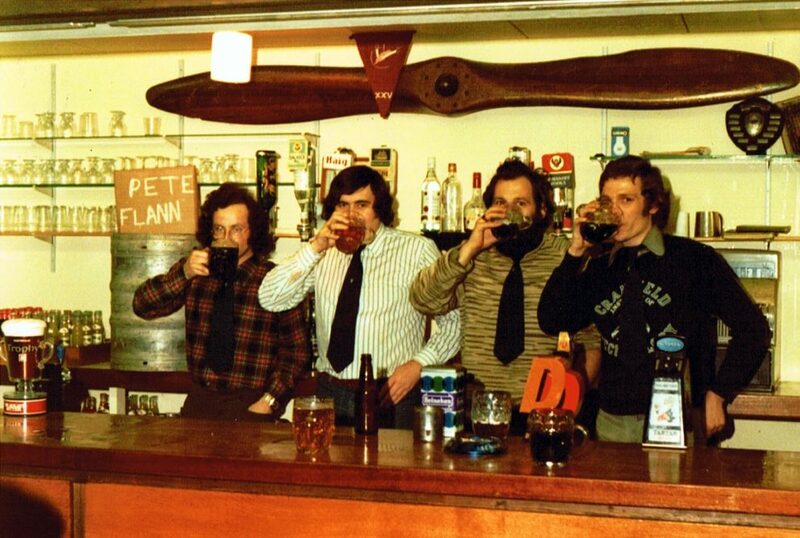 As an ex-RAF base, Cranfield had inherited some intriguing liquor licensing laws. The student bar remained open as long as there was someone still standing at the bar! I think it was 5am when I finished my first stint as barman. 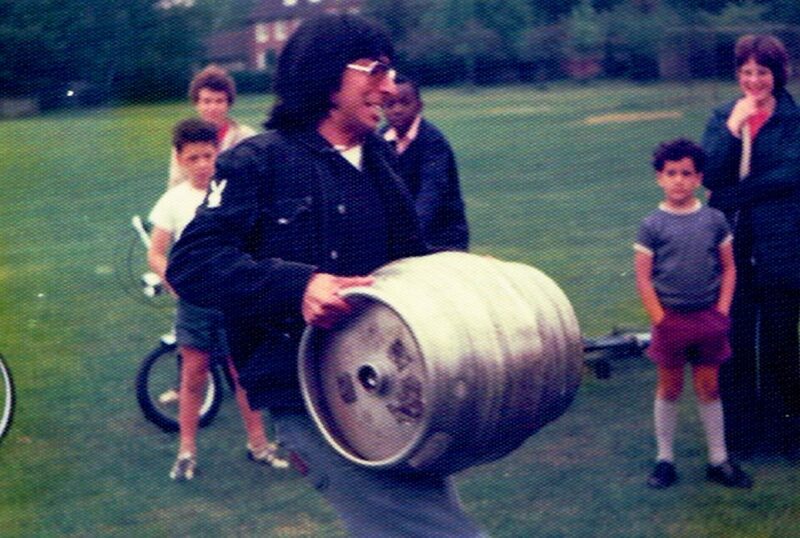 No wonder that sports day had a barrel lifting competition! Lanchester Hall also had a pond. The ritual ‘ponding’ of students seemed to take place for the slightest reason. During the long hot summer of 1976 when revising for my MSc finals, it seemed rather inviting. However I avoided it until I was elected Student Union President later that year and by then it was inevitable! One of the ‘perks’ of the post then was a ‘penthouse suite’ in Lanchester Hall above the Student Union offices. At one point during the time I was at Cranfield I remember there being just one (yes ONE!) female student on the whole campus. Girls from the Bedford PE college and teacher training college were invited to the regular discos and dances that were put on, and there were regular minibuses to bring them over. It inevitably fell to me, as one of the approved drivers, to remain sober, and do the late night run back to Bedford at about 1.30am. One night I was stopped by an overzealous police officer and issued with a producer ticket to take my licence and vehicle insurance to Bedford police station within seven days. Cranfield had the insurance but my licence was back at home. I went to see our Chief Security Officer, who was a retired Chief Inspector I believe, and he was very understanding (he needed to be at times with some of the student antics!) He took one look at the producer, pointed out that the time that had been entered was in the afternoon not night, and that the rest of the form was incorrect. Needless to say, I never had to produce my driving licence! During my time as President I was often awoken by a phone call from him to politely ask if I knew what the students were up to at the moment. Of course, I could not comment, but put his mind at ease on many occasions. The Milton Keynes concrete cows being removed and held hostage until Rag Week. The local Constabulary had unwittingly helped in this as the cows were on a large trailer and on being informed that they were being repainted, they stopped the traffic to allow the vehicle and trailer to drive away! The Mastermind chair disappeared during a break in filming an episode at Cranfield. It was held for ransom, but Magnus Magnusson said that its price was “beyond rupees”! A ladder simply placed against a wall caused much consternation. It was found against the outside wall of Bedford Prison early one morning and sparked an escape alert. Of course as an ex-RAF base and College of Aeronautics, there were planes everywhere – as there are now. The TSR2 languished on the tarmac as a symbol of the short-sightedness of governments. Aeronautical students could learn to fly a Beagle Pup for free and gain their private pilots license. At one point this faced the axe and I spent considerable time during my Presidency enabling it to continue. The airfield was normally closed on a Sunday and those of us who remained on campus were treated to test flights of the newly developed aerobatic aircraft as well as demonstrations of a model Spitfire with a six foot wingspan owned by one of the aeronautics staff. Each month we would have a dining-in night. The guests were mostly alumni and would invariably include Rear Admirals, chancellors of other universities, politicians and the like. It was a chance to let your hair down and escape from the lessons and research. I had always been a bit of a prolific artist, sketching and painting local scenes and the competition run by the Cranfield Reporter to secure sketches to be used in future Cranfield publications gave me the opportunity to try my skills again. If I remember correctly there was also a financial reward! I have mentioned before how the students came from all over the world. Margaret Thatcher had visited Syria in 1976 and during my year as President I was invited to take a party of students to Syria as guests of the Students Union there. During our tour we visited the Golan Heights with the UN, met with President Hafez al-Assad, Yasser Arafat and toured all over the country. It was eye-opening in many ways, but my lasting impression was of the beautiful city of Aleppo. It was magnificent. So colorful and so friendly. So sad now to see the contrast after the ravages of civil war. 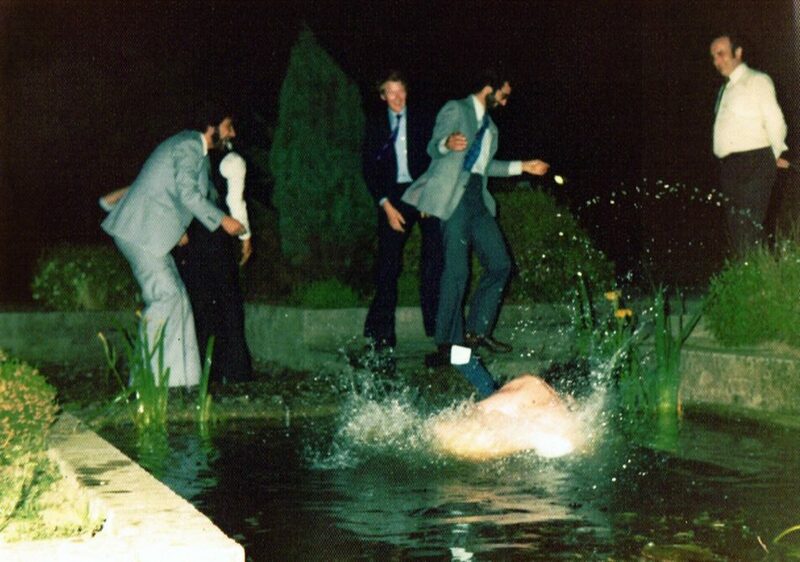 1979 was my graduation year at Cranfield after obtaining my PhD. I was the youngest Chartered Engineer at the time and started back in industry. Unfortunately the recession was taking its toll on British industry and within a year I was made redundant. So, I started my own company in the new technology of mobile phones and telecommunications which grew steadily until I semi-retired and sold the business in 1998. I have always been a musician playing in brass bands and I started a charitable organization to bring free music tuition and free instrument loan back into schools. During the next few years I went back to studying, but this time distance learning to gain a Master of Arts and a Master of Music from Sheffield University. In 2012 – like my father before me – I was awarded the MBE for services to brass bands and youth music. Recent highlights have included being invited twice to Sandringham to play for the Royal Family at Christmas with the Stalham Brass Band of which I am director of music. Tim was a student of Mechanical Engineering at Cranfield in the 1970s and after a successful career in telecommunications business ownership, he is now an acclaimed musician. He was awarded an MBE for services to brass bands and youth music. NatWest Stan Norman a Bank Manager all customers had respect for, ably assisted by Don Copperwheat… I was born at the C of A in 1948 so remember most of the student pranks from about 1960 onwards lol. I was the newsagent there until 1983.